In the 1990s, the sports drink market was a battle zone. There was Gatorade at the top of the pile. Coca-Cola released Powerade. Pepsi offered All Sport, a wretched, carbonated sports drink that it would end up selling off after purchasing Gatorade’s owner, Quaker Oats. Snapple even had its own line, Snap Up, pitched by professional tennis player Ivan Lendl. Somewhere in the morass was Z’lektra Sport, produced by American Quality Beverage Corporation here in Syracuse. It’s pitchman? Syracuse University basketball coach Jim Boeheim. The magic of the Internet has ensured that Z’lektra’s website will live on, though the sports drink is long dead. Had it hung on and carved out a niche in this space, it might be considered Iconic Syracuse. But, alas, Coach Boeheim nows swigs Gatorade, and Z’lektra is nothing more than a web search in my Google Chrome history. Paul deLima Coffee: Take I-81 north to Cicero. Get off the highway and start driving up Pardee Road. Roll your windows down and inhale. Deeply. If they are roasting coffee at Paul deLima‘s plant, you can thank me later. If they aren’t, well, a little car exhaust won’t hurt you too much. Paul deLima may not be the best coffee in our fair city, but it is certainly the most widely available. Restaurants, banquet facilities and hotels throughout the area serve this coffee at their establishments. It certainly attains iconic stature in this city. Available throughout the city. Factory store located at 8550 Pardee Rd., Cicero. Joe Heath Is The Man at Freedom of Espresso: A long time ago, Federal Espresso was the only game in town for high quality coffee by the cup or pound. FedEx, then Federal Express, yelled copyright infringement in 1997. Anna Dobbs, the owner, changed the name to Ex Federal Espresso. FedEx wasn’t amused. The international parcel carrier took Dobbs to court over their name and a lawyer named Joe Heath (pictured at right) defended her company. 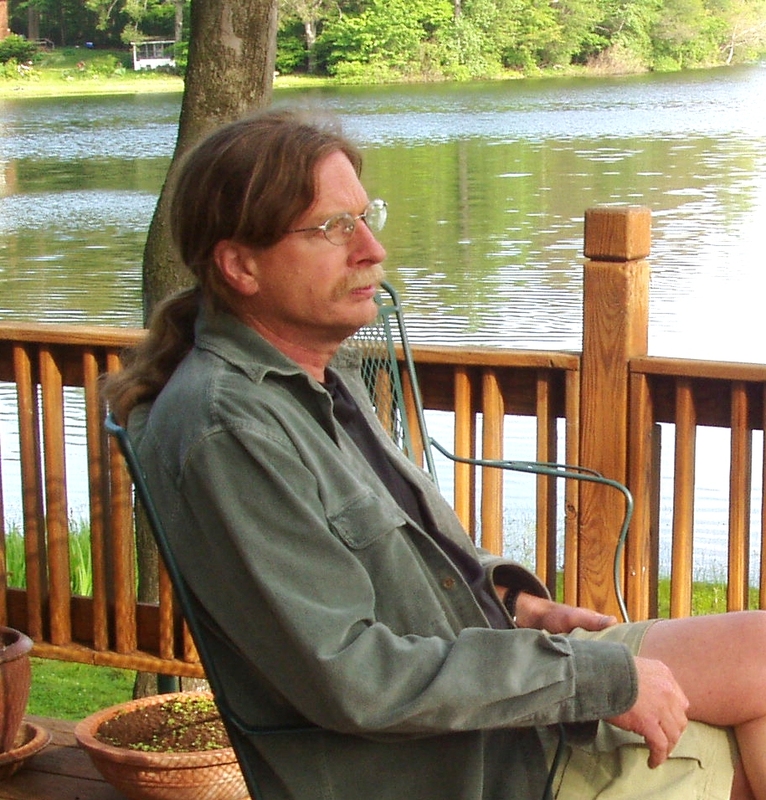 The result was a federal court siding with the coffee shop. Dobbs changed the name to Freedom of Espresso, proving that David could slay Goliath. Freedom then named its strongest roast after its lawyer. It’s a drink befitting our area’s coffee icon. Pour Over at Cafe Kubal: In a world dominated by vats of Dunkin Donuts swill and Starbucks Frappucinos, there is the comfort of a pour over. This is not a particularly new concept, nor is it one exclusive to Cafe Kubal. But, if you see it as the biggest name in the local coffee scene, this is their signature. For me, it’s the craftsmanship and precision that goes into forming each cup. No buttons are pressed. Just hot water and coffee. It’s beautiful and worth the wait. There are a lot of great coffee places in Syracuse, but I think that in terms of icons, you start here. 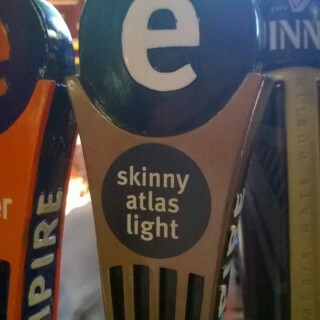 Skinny Atlas Kolsch at Empire Brewing Company: Once known as Skinny Atlas Light, this award-winning beer is brewed in the style of the German kolsch. Empire Brewing Company opened its doors in 1994, expanded to Rochester and Buffalo, before going away for a while in the early 2000s. In 2007, it emerged stronger than ever. Syracuse has a long-storied history of brewing, and Empire leads the city’s renaissance in the craft beer movement. Byrne Dairy Chocolate Milk: What’s the perfect accompaniment to a hot dog or coney at Heid’s? What’s the perfect roadtrip drink? The legacy of Byrne Dairy chocolate milk starts each day at school lunch, when kids plunk down their quarters for a half-pint. It continues each summer at the New York State Fair at the Dairy Products Building, where 25 cents gets you a pour. Lowfat or high-test, it doesn’t get much better than this. Byrne Dairy began, as most did, delivering dairy products to homes throughout Syracuse. It has since grown into a brand synonymous with Syracuse and as iconic as any. And, it always best in glass. Beak N Skiff Apple Cider: The orchard in the hills of Lafayette is the Syracuse area’s largest and best known. And their cider is the most sought after. First made in 1979, B&S apple cider is flash pasteurized for distribution and found at nearly every supermarket in town. Middle Ages Brewing Company Grail Ale: Middle Ages is Syracuse’s only production brewery, brewing, kegging and bottling from its spot on the Near Westside. Founded in 1994, its first beer was its Grail Ale, an amber ale still made and bottled to this day. It’s lineup of 17 beers includes two specially brewed for the Dinosaur Barbque. Milk in glass…I don’t have a scientific study to prove it, but the memories of my youth will argue the milk tastes so much better out of a glass Byrne Dairy bottle. Chocolate, white, strawberry or that weird green milk they used to sell around St. Patrick’s Day, Byrne milk is definitely an icon. Thus my point. Not only does it taste better, but it’s colder. Again, I have no proof of this.